Happy Trach Awareness Week! Three years ago, if you had asked me what I knew about a trach, I probably would have told you that according to movies and television, doctors and paramedics insert a trach in an emergency situation such as major accident/trauma to establish an airway (my paramedic hubby may or may not have laughed at me when I asked him if he trached patients in the field) or given to heavy smokers with extremely damaged airways. I have since learned that the ones done in emergency are actually called cricothyrotomy – more commonly known as a “crike” – which is quite different from a tracheostomy. 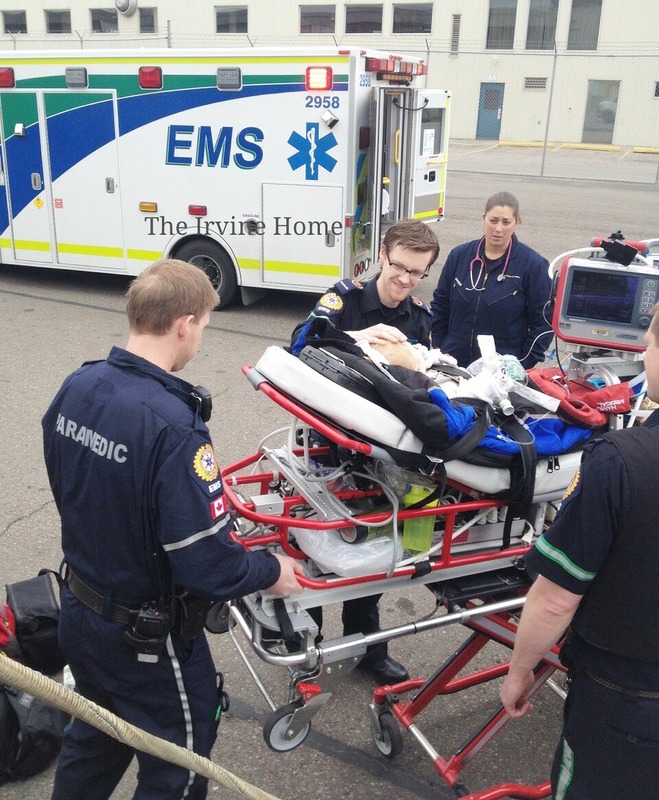 ”A cricothyrotomy is usually done in an emergent situation when you are unable to intubate someone and need to get access to someones airway in a hurry. It's done through the cricothyroid membrane (under your adam's apple). Landmarks are easy to identify, and you avoid the vocal cords and the person's thyroid gland & associated vessels. I am now immersed in a huge “trach community”, and while I’m no expert, I now know that trachs are inserted for SEVERAL different reasons (for both pediatrics and adults). When recently talking to individuals of our pediatric care team (the RT Manager, RT’s, respirology nurses, resporolgists, intensivists, etc), they tell me that the “trach community” is just continuing to grow bigger and bigger every year. 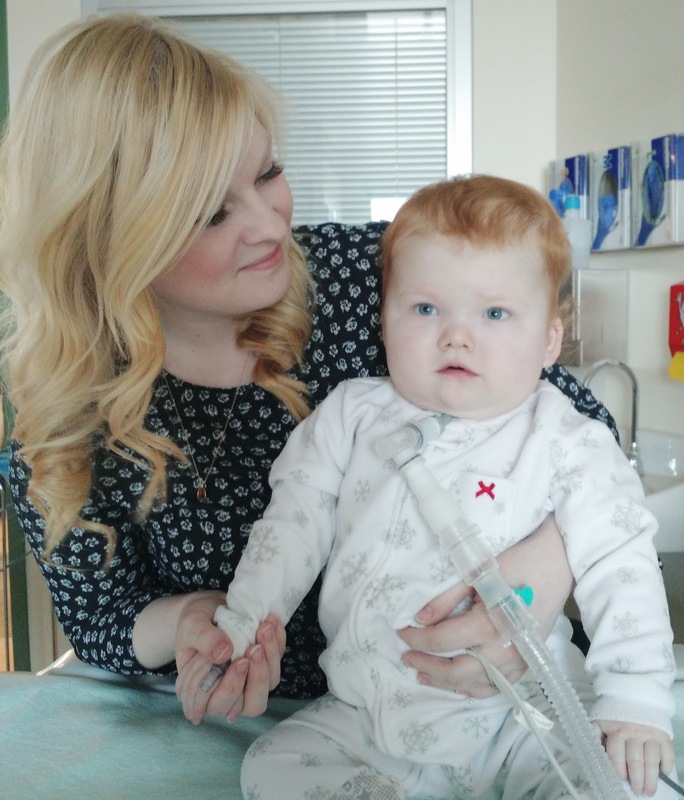 It’s not necessarily due to an increase of “sick children” being born, but because of recent advancements being made (both surgical and technological), giving babies a chance to live whose options were severely limited just 10 years ago. I have a dear friend whom I featured in the past who was just one of those cases. Her son Garrett was able to have a stent created by a 3D printer made of “biodegradable material” inserted on his airway a few years ago, which allowed him to finally handle lower vent pressures and go home on a home ventilator (as of today he is off the vent during the day, and continues to thrive beautifully). You can read more about his story HERE. Anyways….. with the help of some other trach mamas, I have complied a list of why being a “trach mom” can actually be quite awesome! 1. Having a guaranteed airway is kind of awesome when you think about. 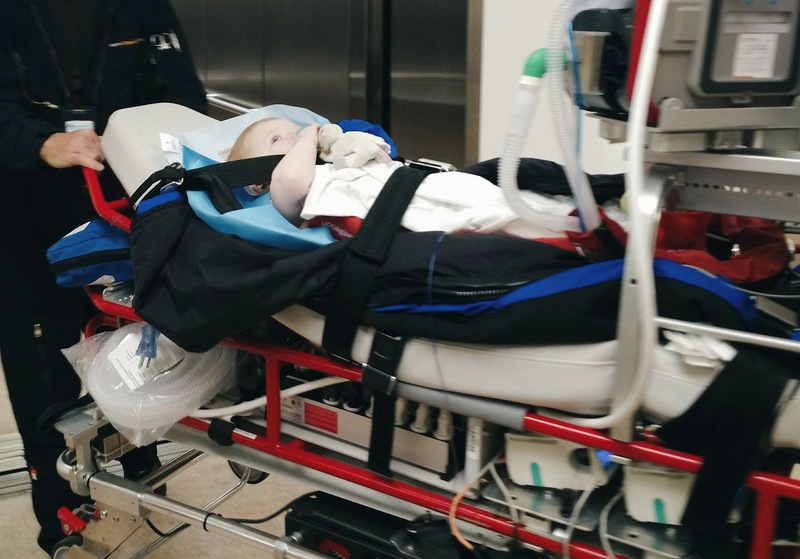 You really don’t have to worry about your child choking on food, being smothered by a blanket, or their trachea collapsing if they experience an anaphylactic shock – a secure airway has already been established! 2. Non-existent ER wait times. 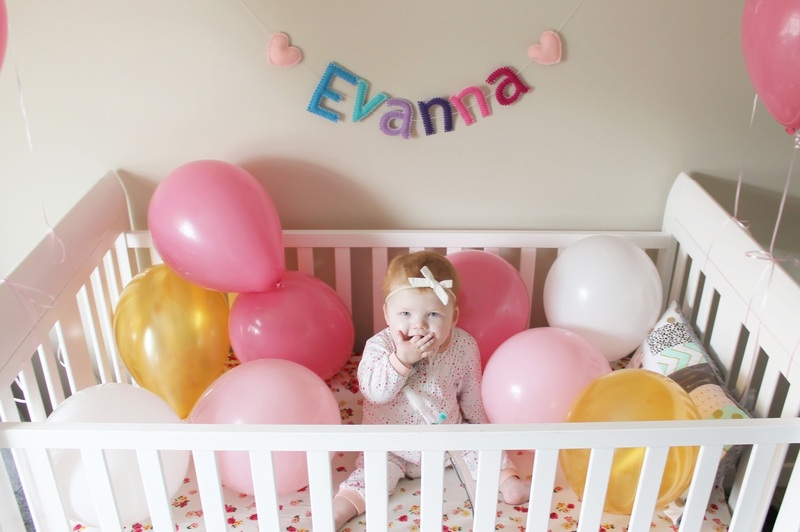 From personal experience, we recently brought our child into the ER – and even though she was actually quite stable from a respiratory/airway perspective, we were immediately taken to the back and seen by the pediatrician within 5 minutes of triage! It’s going to be a hard adjustment when we don’t get that same treatment with our future children. 3. Decent sleep! Okay, as a new mom – I actually get a great nights rest (gasp!). 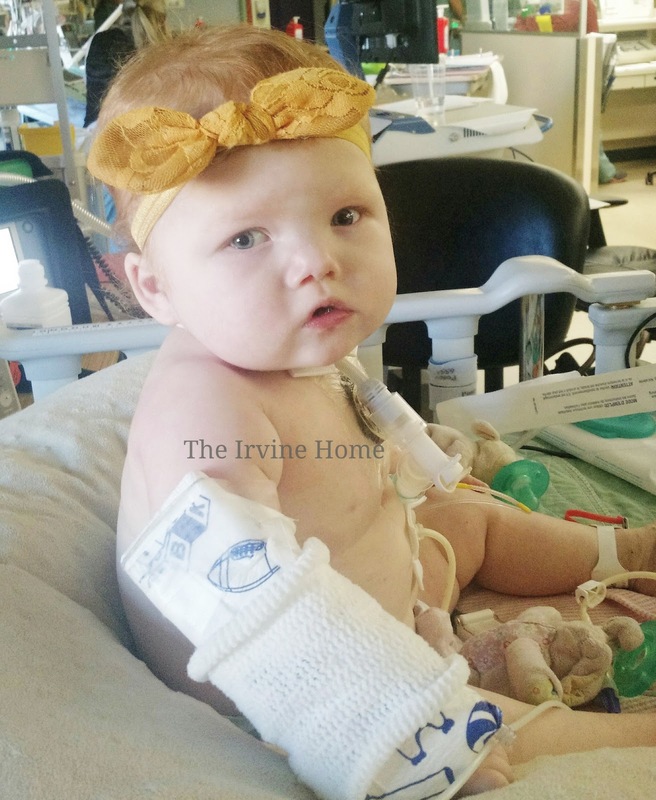 Obviously this is due to two things – great and reliable night homecare nurses (not all trach families can say the same thing unfortunately), and the fact that as of right now, we don’t have other children. When our homecare nurses arrive for their shift, we can somewhat relax and put our feet up (or catch up on other work if I’m in the mood….which lets be honest – is a rarity), as there is someone else now watching our child (obviously if something arises, they still come get us if they need help). On the flip side, if our nurse calls in sick and we can’t find someone to cover, then staying up and watching our child does fall on us – thumbs up for all-nighters! 4. Not having to fold and put away baby clothes! I like to somewhat consider our homecare nurses as “medical nanny’s”. Homecare is quite different from a traditional hospital setting, and so the tasks and lists of duties reflect that difference. While they care for the child’s medical needs in the form of suctioning, administrating food & medications, they are also expected to help the family in any capacity that is in relation to the patient. So, that can include helping with the folding the child’s laundry or washing bottles! (on a side note… my nurses actually like when we have a load of laundry for them to fold, as it’s something that will occupy their time and keep them awake at night…. a win-win situation in my book!). 5. Endless supply of medical tape! Seriously. I’ll probably never have to worry about buying tape ever again – it makes the Christmas and birthdays a bit easier knowing I always have tape on hand. 6. The ULTIMATE toys! Nothing makes a child happier then a funny looking syringe or the crunchiness of a suction catheter wrapper (they literally keep my child entertained for hours). Oh did I mention they’re free (well…kind of) and that we have an endless supply right at our fingertips? 7. Access to a portal pulse ox monitor in your own home! Knowing your child’s heart rate and oxygen saturations at any given moment can actually be quite useful in determining if they’re in a deep sleep or if a cold/sniffle is turning into something more serious. Have other kids? You can quickly slap it on them should an occasion call for it. 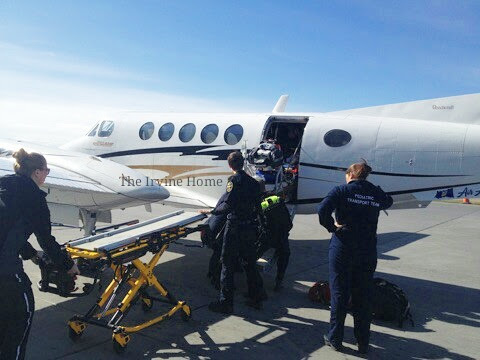 Your home is quite literally a mini hospital! 8. Free education! Or as I like to call it – a #MedicalMamaDegree. We speak a whole new language, and the words that spill out of our mouths could just make your head spin. We drown in so much medical information when the journey first begins, but eventually learn to swim and easily wade around it by the time we get discharged. 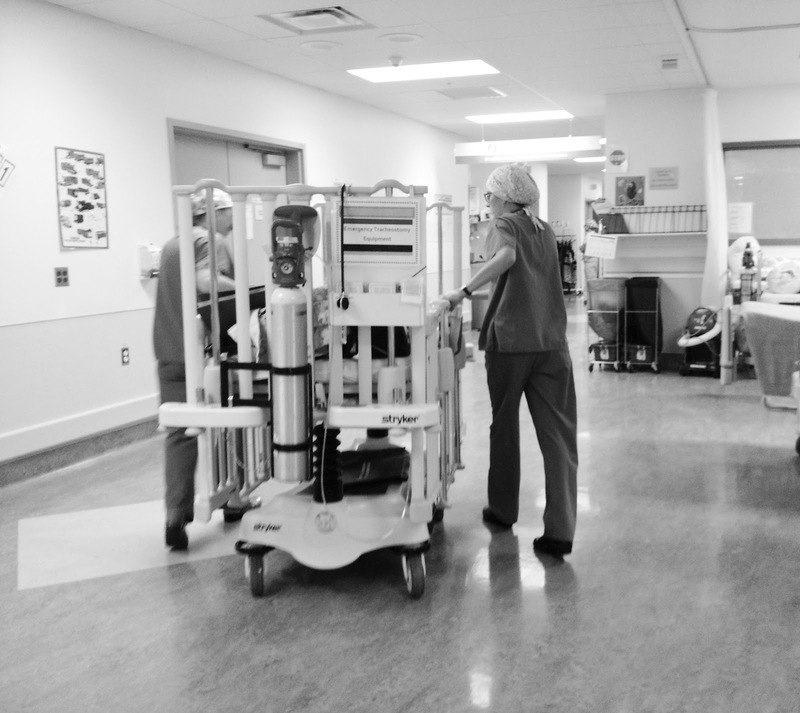 We get asked by other medical professionals if we’re nurses (which is actually true for some trach mamas), and can hold intelligent conversations with intensivists, surgeons, specialists, pediatricians, nurses and respiratory therapists. I often get told I could be a cardiologist, nurse or RT if I really wanted to, and laugh when I have to explain things to a doctor about my child’s diagnosis. I LOVE having casual conversations with our RT’s and respiratory nurses, as they completely understand what I’m talking about – and am a complete “nerd” in all things trach and vent (it’s literally my “jam” lol). 9. GTube! 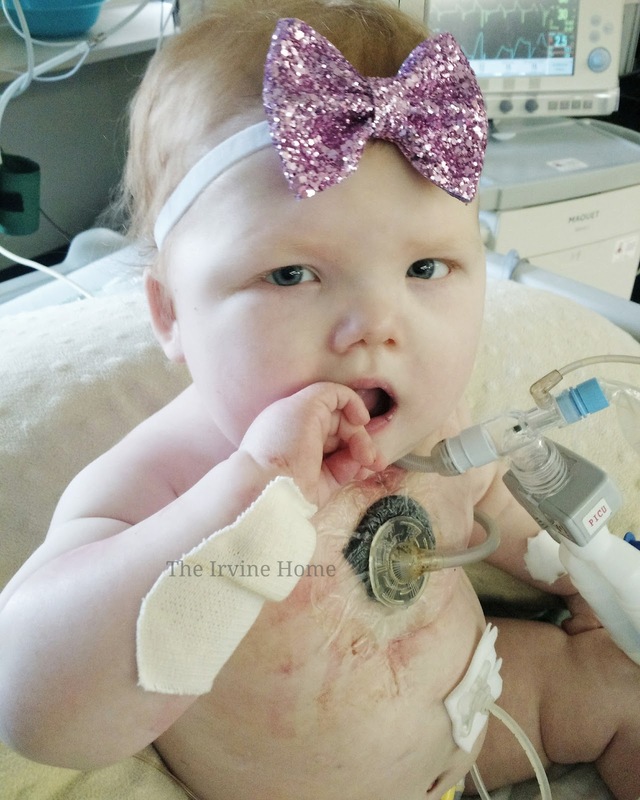 Okay, so I know this really doesn’t have anything to do with the trach, but most trach kids also have a GTube (a surgically placed feeding tube that directly delivers water and food/nutrition to the child). Gone are the days of not having to worry about keeping your child properly hydrated or taking their medication. You just hook them up and you’re good to go! 10. Need to blow up a bunch of balloons?? Come on over to my house and use our air compressor! Heck, I’m sure our back up ventilator could do the job quicker and save your lungs in the process! 11. Finding alternative uses for medical supplies that can actually make our lives a little easier. Need to baste a turkey? I have a 60mL syringe that would work perfectly. They also are great to use if you want to make fancy pancakes (think shapes and letters), or fill pastries with cream or chocolate. For months our car’s side mirror was held together by medical tape – the list goes on and on! 12. A whole new family! Between members of your primary medical team, fellow trach mamas that you meet, and our homecare nurses, our family has exponentially expanded over the past few years. There are some doctors I can’t wait to see and show them how much our child has grown and developed. They have literally seen you at your worst, and cheer you on when a new milestone is reached. Trach mamas both near and far, become your new best friends and you feel like you’re a part of a special secret society! Then there is your homecare nurses – they see you in all your grace and glory first thing in the morning when you wake up (smudged makeup and all), and begin to love your child as if they were their own (in obviously an appropriate manner). They know more about you and your family than most people do, and you end up building an intense bond. They are in your home every night for years, and so you develop this unique relationship that can only echo one of a close family member. 13. A new perspective on life. I don’t know one medical mama (trach or not) that hasn’t gained a new perspective on things after having a medically complex child. We see life in a whole new light, and don’t take for granted the things that many people do on a daily basis. I’ve had a friend point out several daily tasks that aren’t easy for us which people take for granted all the time – baths, car rides, going to the grocery store, etc. “Mundane and everyday tasks” take extra planning and a longer execution for us, but it becomes our “new normal” and we learn to adapt very quickly. Trivial life problems become insignificant to us, and know just how precious the human life is. We value the word “healthy” and appreciate every single moment outside hospital walls. The trach life is extremely hard and I still can’t wait for the day we can decannulate Evanna and join the “naked neck club” (a common phrase used in the trach community), but until then, we’ll make the best of it and enjoy the “perks” of being a trach family. In just a matter of seconds, Nick and I learned how quickly things can change. On Sunday evening, Nick was in the kitchen cooking, I was in the living room catching up on emails, and Evanna was playing in her exersaucer. 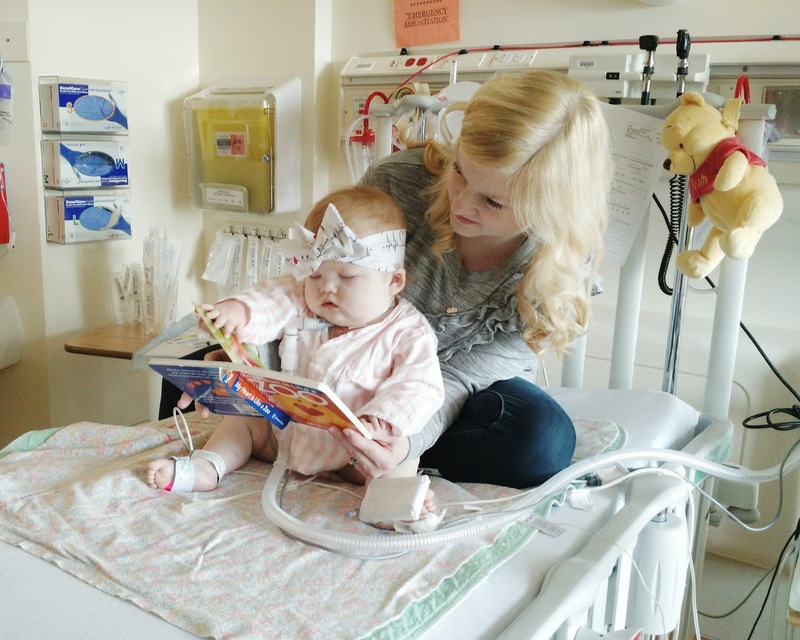 Evanna was coughing a lot, but it didn't sound like her "normal cough" – it was more auditory. Nick walked over to investigate, and within seconds he realized Evanna's trach had come out (which is why we could hear her more than usual). He pulled her out of the exersaucer and I ran upstairs to grab her emergency trach kit that contained the obturator for the trach (it helps "stiffen" the trach to make it easier to put Evanna's trachea). However, by the time I came back downstairs, Nick already had the trach back in and we got to work on re-securing her trach ties. The whole ordeal probably wasn't probably longer than 60 seconds, but it was enough to give us a tiny reality check on how fast things can change. 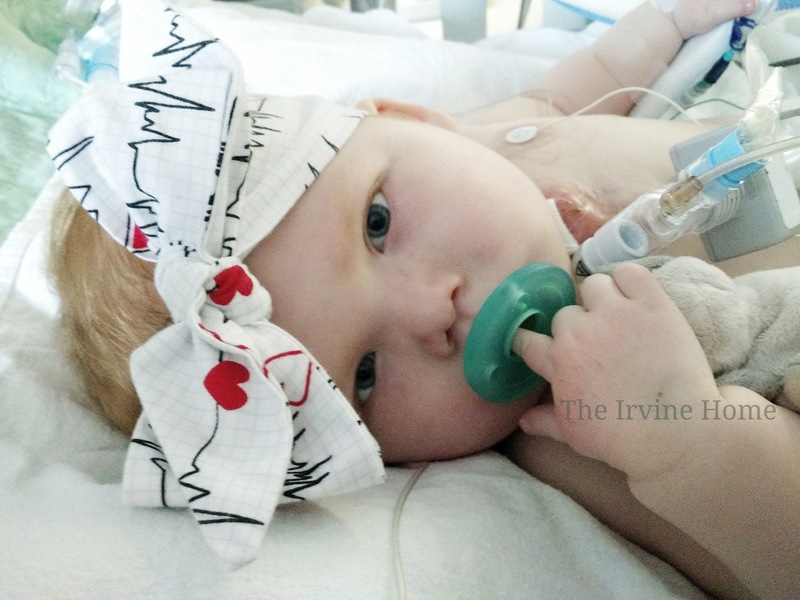 You DON'T mess around when it comes to an airway, and though our long hospital admission began with her heart, it's why we remained in the ICU for as long as we did. 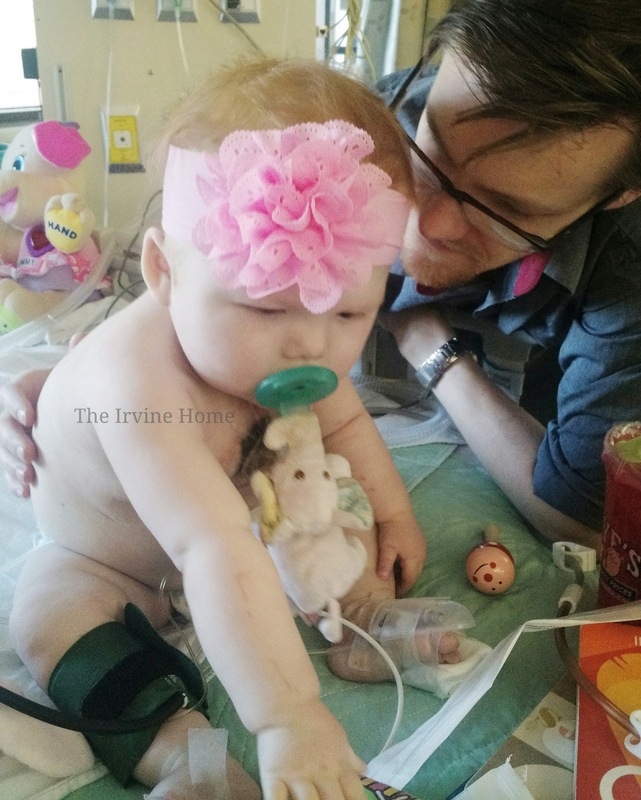 It's why the medical team was incredibly nervous to finally discharge Evanna back in November, it's why we had to go through all the extensive training that we did, and it's why we have homecare nurses in our home each and every night to watch Evanna sleep. At the end of the day, because of how quickly we caught and dealt with it, this "accidental decannulation" wasn't very serious. Other than calling the "respirologist on call" to let them know about the incident (it's protocol), we continued about our evening as normal as possible, but it sure gave us a mini scare. I'm proud of how quickly and calmly we dealt with it (this situation can often make people freeze up), and reconfirmed how well Nick and I work as a team. So what happened? 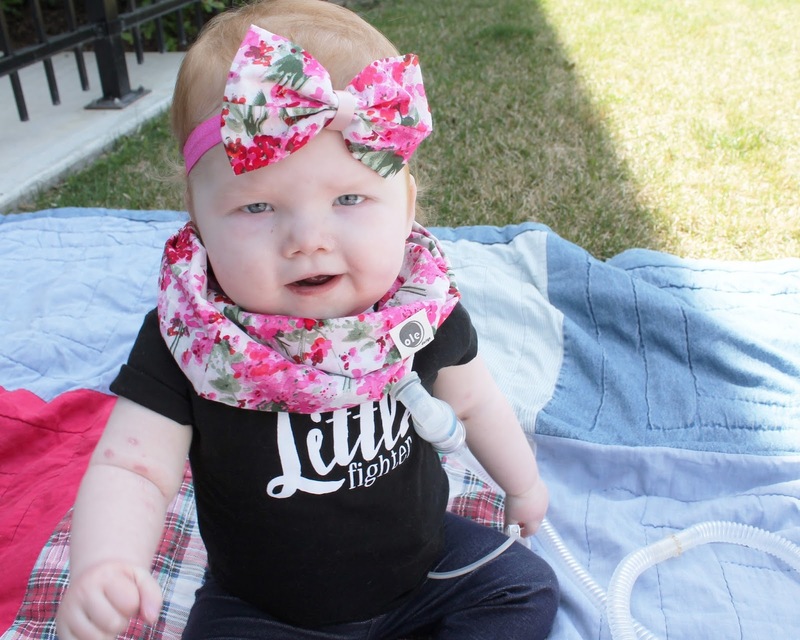 Well her vent tubing got caught on her exersaucer, and instead of the tubing disconnecting from her trach (like it normally would), it caused her ties to slightly tug to the side and pull her trach out. It was just a accident, but one that could have had serious (and fatal) consequences. 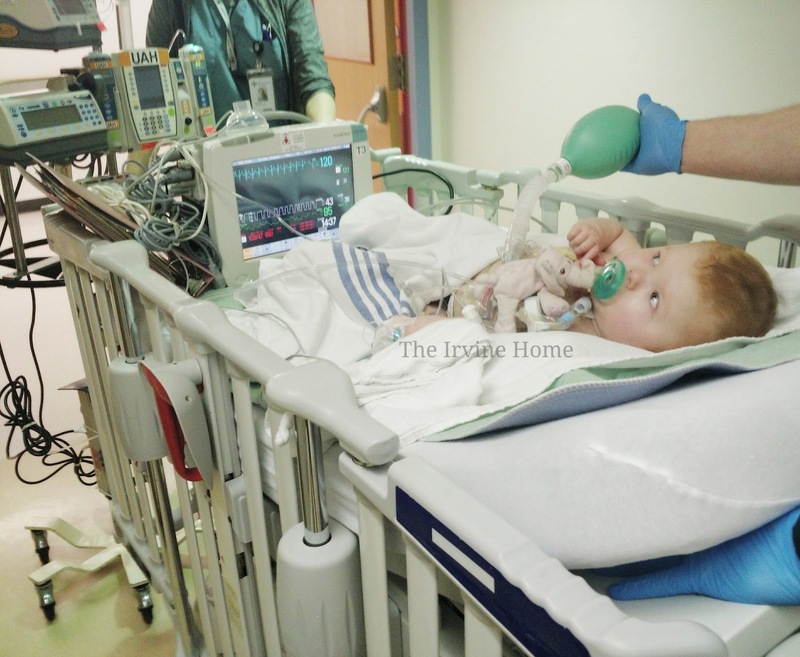 Unfortunately this was bound to happen at some point (hence our extensive trach training), but that's our day-to-day life right now, and what we have to deal with as "complex medical parents".